<< Red Hot. Red Tag. Sales Days. 3-Days Only! 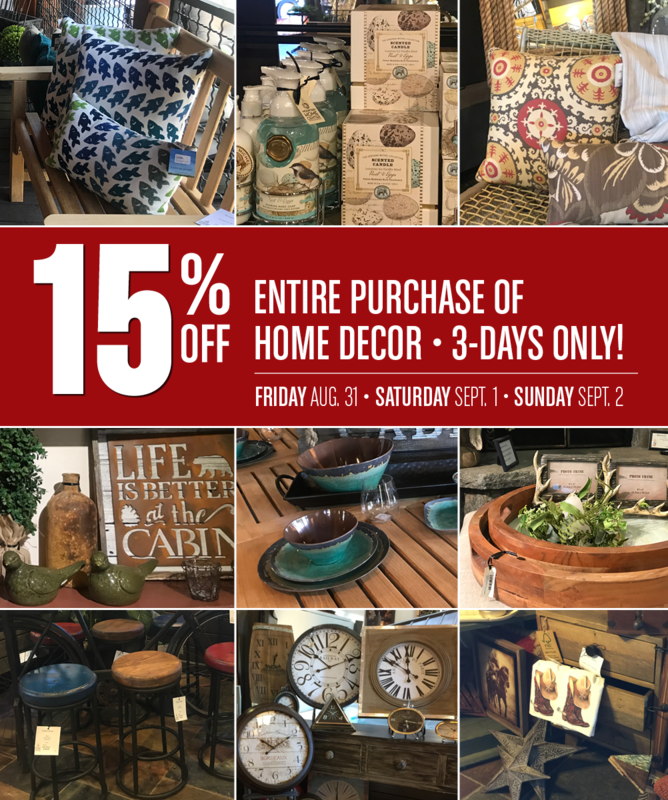 Save 15% off your entire purchase of Home Decor Accents & Accessories. Friday 31st, Saturday 1st & Sunday 2nd at both both our Truckee locations. 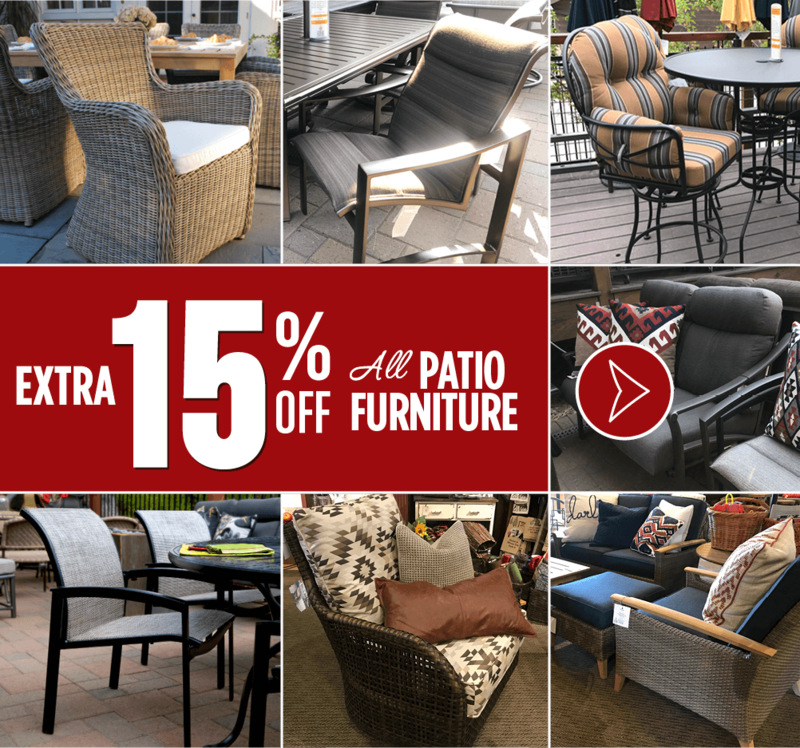 All in-stock patio furniture is on sale at an extra 15% off everyday sale prices. See pricing and selection of some of the items currently in-stock.